This easy canned salmon patty recipe only requires four ingredients. It’s a quick weeknight dinner that’s super simple, healthy, and totally kid friendly. I’ve probably made half a dozen different versions of a salmon patty recipe over the years. Some recipes used fresh salmon, some used canned salmon, some had potatoes, some had onions, some had herbs, some were baked, some were sauteed…you get the point. All of the recipes have been tasty, and they usually get eaten, but they’ve all been a little too complicated to make it into our “quick weeknight dinner” rotation. When I started researching non-dairy food sources of calcium, however, I was motivated to start making salmon patties more often. My oldest daughter has been allergic to dairy since birth, and I’m always on the lookout for whole food sources of calcium. After reading that canned salmon with bones is one of the most calcium rich foods you can eat, I decided I needed to find a way to get more of it into her diet. My first goal was to come up with a recipe that would taste good and be simple enough to whip up on a busy weeknight. I’ve always liked salmon patty recipes that included potatoes, but since peeling and boiling and mashing a bunch of potatoes is a pain, I decided to use frozen hash browns instead. My second goal was to incorporate some greens so that it could be a “one stop shopping” sort of meal, and I wouldn’t even need to bother with a separate veggie side dish. So I threw in some chopped frozen spinach. Bonus — spinach is also a great non-dairy source of calcium. Finally, I used eggs as a binding agent. I seasoned it all with a little salt and pepper, and in less than 20 minutes from start to finish we had a nutritious and delicious dinner on the table! 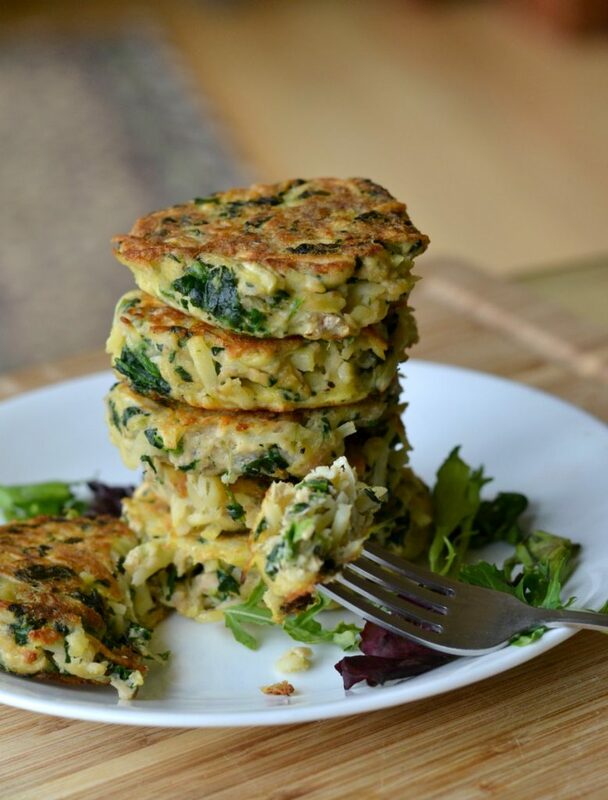 The spinach and hash browns need to be thawed before you make the salmon cakes, so either put them in the fridge the night before, or thaw them on the countertop a few hours before you plan to cook. 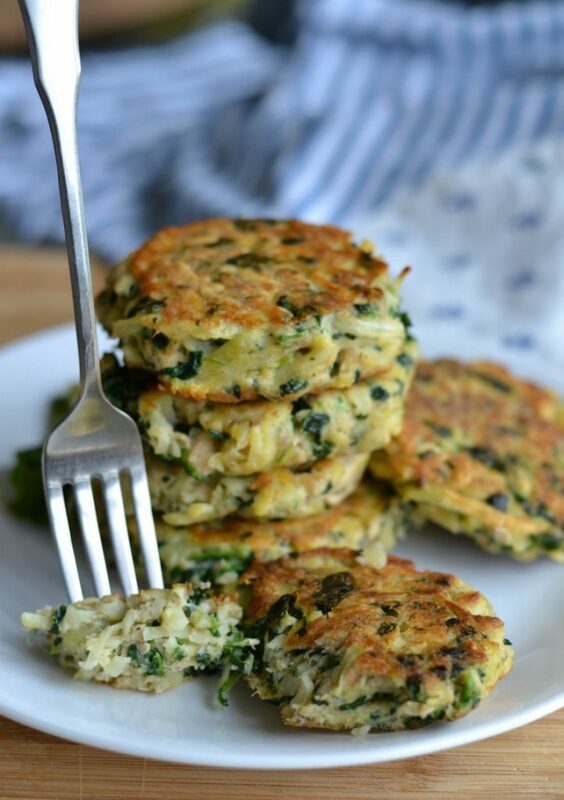 Make sure you do a good job of squeezing the water out of the salmon and the spinach so that the salmon cakes don’t fall apart while they’re cooking. Saute the patties in an oil-coated pan over medium heat for 5 minutes per side, or until golden on the outside. 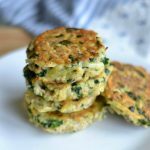 Besides being quick, good, and simple, this canned salmon patty recipe is a winner because you can stock the salmon, hash browns, and spinach in your freezer / pantry so you’ll always have a go-to meal ready to be made on nights when you’re unmotivated to head to the store. 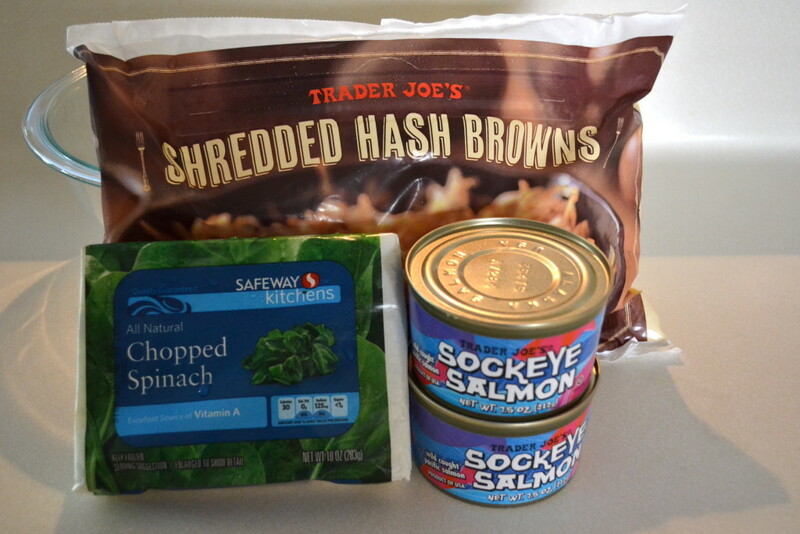 This canned salmon patty recipe is so easy to prepare, quick to cook, and delicious to eat! 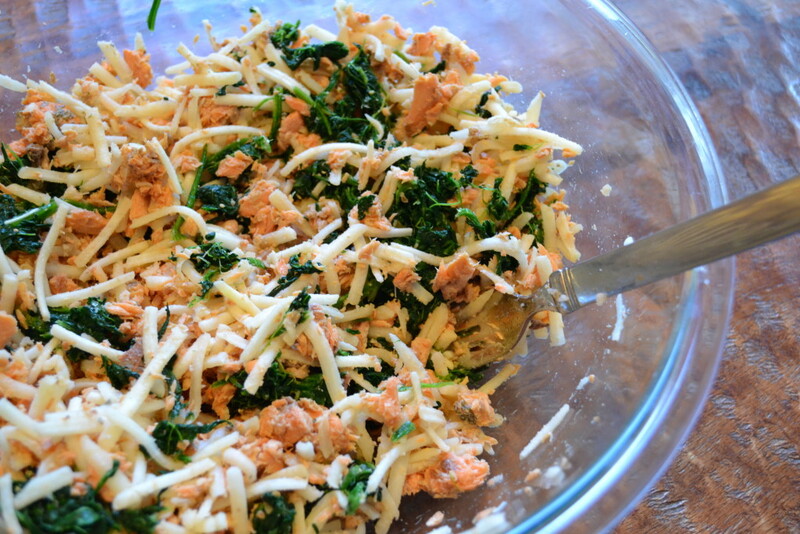 Combine spinach, hash browns and drained salmon in a large bowl, using a fork to flake the salmon. Gently stir in eggs, salt and pepper. Heat a thin layer of oil in a skillet over medium heat. 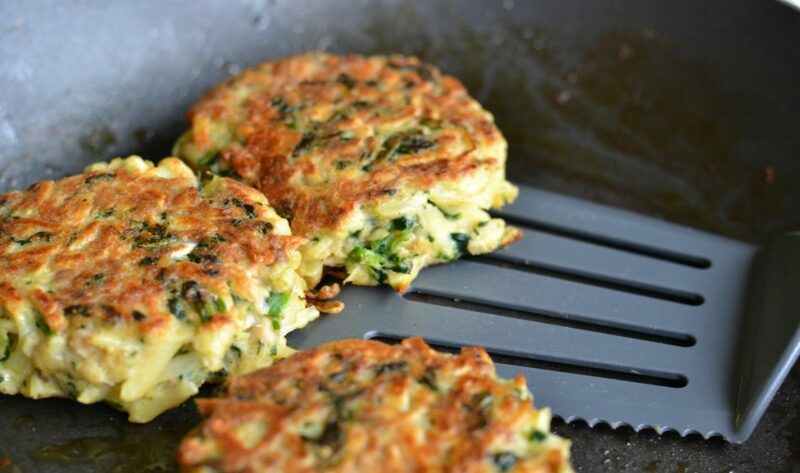 Form salmon mixture into palm-sized patties and add to pan. Saute in batches, cooking for approx 5-6 minutes on each side, or until the hash browns have turned golden brown on the outside of the patty and are tender on the inside. Serve alone or over a salad. Depending on the brand of frozen hash browns that you use, you may need to add more or less salt than recommended. Some frozen hash browns are pre-seasoned while others are not. The best way to make sure you've got the right amount is to make a small test patty before you cook the whole batch. Awesome recipe , seved with tartar sauce , incredible! 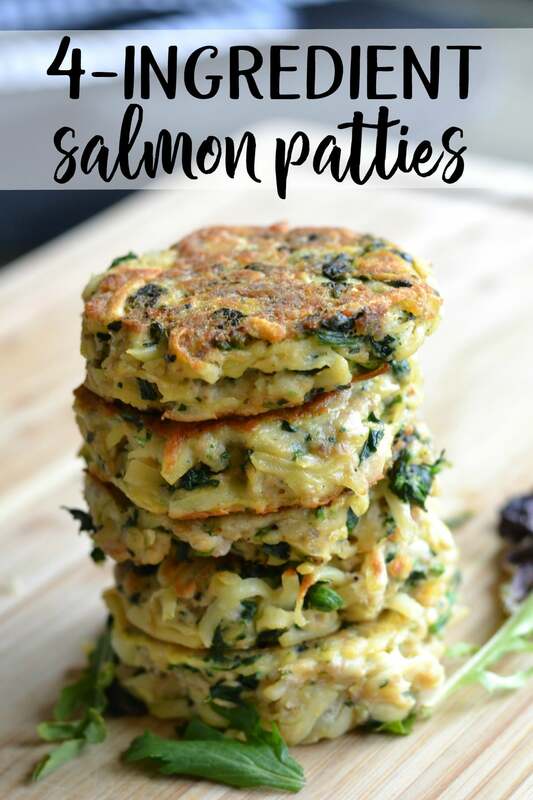 These salmon patties are so easy! and served them with marina. with shredded cheddar and salsa.